Frampton's FUNdamentals: St. Patrick's Day Freebie! I just wanted to stop by and give you all a little freebie I made for St. Patrick's Day. 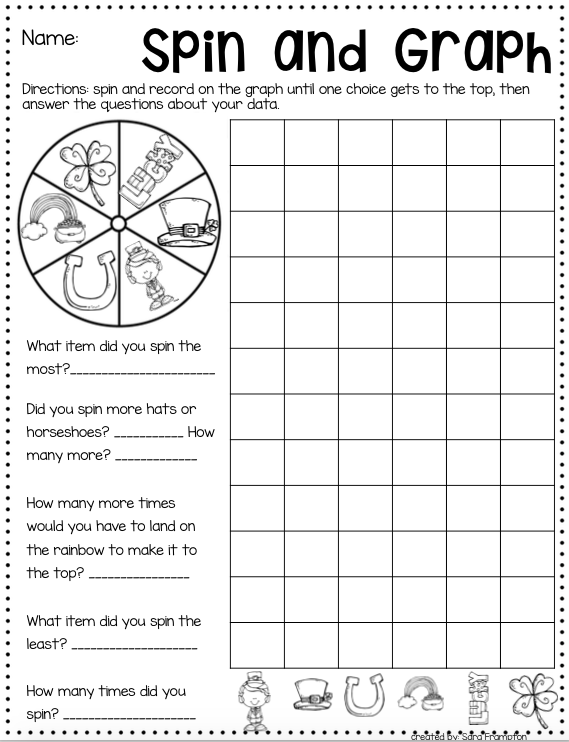 We have been working on graphing, so I made this spin and graph. Hopefully you can use it as well. If you click on the image it should take you to the Dropbox link. Let me know if you have any problems and I can email it to you. As for credits I used Melonheadz, Graphics from the Pond, and KG Fonts. I am your newest follower and I have nominated you for a Liebster Award! You can head over to my blog to see the rules for accepting! Random Saturday Post - Giveaway!